Imagine picking up the phone and sending voice commands to have all your banking transactions of the day taken care of; all this while sipping your morning coffee in your living room. Of course, you won’t have to imagine this for long as it will soon be a reality. Voice Recognition Technology was popularised by ‘Siri’, an application for Apple’s iOS that lets you use your voice to send messages, make calls, set reminders and more. There is also Google Voice app for Android. When it comes to banking, Voice Recognition Technology can be used for both authentication purposes and to give voice commands to perform various transactions. The evolution of customer service in banking is happening at warp speed. The comfort and security of customers is at the heart of this evolution, and various technologies have been deployed by banks all over the world to achieve this and voice recognition technology is one of those. So here’s how voice recognition technology actually works. Once a person speaks on the phone, his/her voice works as biometrics in the voiceprint system. Speaker recognition software then identifies the data input and matches it with the existing server data by using a mix of vocal characteristics like accent, pitch, sounds made by the physical shape of your throat, etc. It uses something known as a Spectrogram to do all of that. Needless to say, speed, convenience and security are the key advantages that Voice Recognition Technology offers. It eliminates the password, card details, card verification knowledge based verification steps, thereby making the whole process as less intrusive and as fast as possible. In terms of security, voiceprint is often considered even more unique than a fingerprint. Customers can simply feed in instructions to their bank via simple voice commands which can be executed without any hassle whatsoever. Various banks across the globe have already started experimenting with the technology to serve their customers better. ING Netherlands launched an app which uses voice recognition technology to authenticate the customers and allowing them to do transactions via simple voice commands. So customers can find out the nearest bank branch, transfer money to someone’s account, find the nearest ATM and much more by simply asking questions while banking on their mobile. Barclays Bank leveraged this technology for their wealth customers first and is now ready to roll the same out for their other customers. The bank uses Nuance FreeSpeech in its call centre, along with caller ID, for the call centre agent to identify customer after just a minute of conversation. The adoption and implementation of this technology is going to be directly proportional to the rise in mobile banking, which in-turn is linked to the high penetration of smartphones, especially in India. According to the Reserve Bank of India, 1 in 25 mobile users in the country used mobile banking services in 2013, and the value of mobile transactions increased almost four times as compared to the previous year. 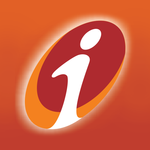 In the first quarter of this financial year, ICICI Bank logged Rs 2,635.37 crore in mobile banking transactions. 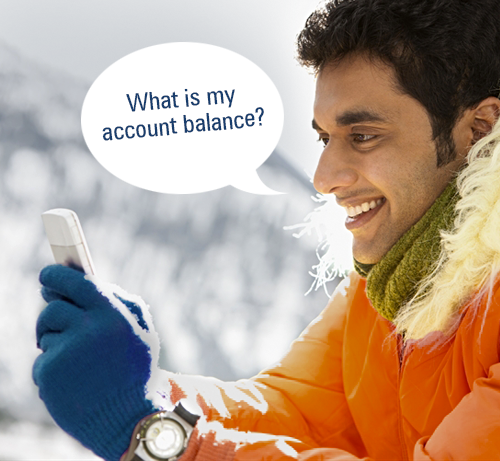 In India, ICICI Bank has maximum number of consumers who use mobile technology for their banking needs. ICICI Bank already offers a Video Banking app for its Wealth and NRI Pro/Premia customers so that they can easily connect with the ICICI Bank customer service representatives. It won’t be long enough before the bank implements voice recognition technology as an even smoother and more convenient way of banking.